Gum swelling is a common issue in which your gums become abnormally enlarged or protruded. It may affect one or more of the triangular-shaped bits of your gum right between teeth. Swollen gums, also known as gingival swelling, can be extremely painful, especially when the gums swell to an extent that they block the teeth completely. Swollen gums bleed easily and require good attention. So many underlying factors can lead to swollen gums. It could be due to a disease or it could just be an outcome of incorrect brushing technique. Here's a bit more about what may cause swollen gums. Incorrect brushing/flossing techniques. Most of us know poor oral hygiene is a common cause of swollen gums. But incorrect brushing or flossing techniques, like flossing your teeth too roughly, could cause swelling as well. Gingivitis. Gingivitis is a common periodontal disease usually caused by plaque deposit on your teeth. The plaque may turn into tartar after a few days, which leads to gingivitis that in turn causes irritated, swollen gums. Oral infections. Both viruses and fungi can affect your oral health and cause irritated gums. If you have herpes, this may lead to a condition called acute herpetic gingivostomatitis, which will directly affect your gums. You may also have swollen gums due to a condition called thrush. Vitamin deficiency. You may end up dealing with irritated, swollen gums if you're deficient in vitamin B and vitamin C. Due to lower levels of vitamin C, your body cannot repair your gums and teeth, which can cause gum swelling. Hormonal changes. The change in hormone levels may also cause swollen gums. This is a common sighting during pregnancy, menstruation, puberty, or menopause when your body undergoes several changes. This may also increase blood flow to your gums, making them tender and become irritated easily. Mouth ulcers. Canker sores and mouth ulcers can cause painful gums. These sores usually have a whitish center with red edges. If you have any pre-existing autoimmune disease, you're more likely to develop canker sores that cause swollen gums. Smoking. Cigarettes and other tobacco products have detrimental effects on your gums. People who smoke are prone to several gum problems from painful sores to sensitive gums that swell and bleed. Chemotherapy. If you're undergoing treatment for cancer, such as chemotherapy, it may cause the development of ulcers on your gums and lead to painful swollengums. Scurvy. If the level of vitamin C goes too low, you may develop a disease called scurvy. It causes anemia, skin hemorrhages and gum disease. Older adults are more likely to develop the disease that may well be a reason behind swollen gums. Other causes. Poorly fitted dentures or other types of dental appliances may also cause irritated gums. Also, some people show sensitivity to certain toothpastes. The use of these toothpastes, mouthwashes, and oral hygiene products may make your gums swell. Besides, some drugs such as phenobarbital, dilantin or calcium channel blockers have many side effects, including swollen gums. Notice: It is important to get in touch with your healthcare provider to discuss any changes to your gums that persist longer than two weeks. If your swollen gums are the result of a specific drug, you should let your doctor know so they can prescribe something else. There are so many ways to treat swollen gums, so what works in your situation could vary a lot. It is important to find the underlying cause and then select a way to get rid of the pain. Here's what you can do about your irritated, painful swollen gums. You can try certain natural home remedies to eliminate the pain and discomfort caused by gingival swelling. For starters, you can consider chewing some cloves, or applying clove oil directly on your gums may also help reduce swelling. A paste of ginger and salt often helps alleviate pain and swelling. You can also make a paste by mixing camphor and castor seeds, or simply rub aloe Vera gel on your swollen gums for pain relief. 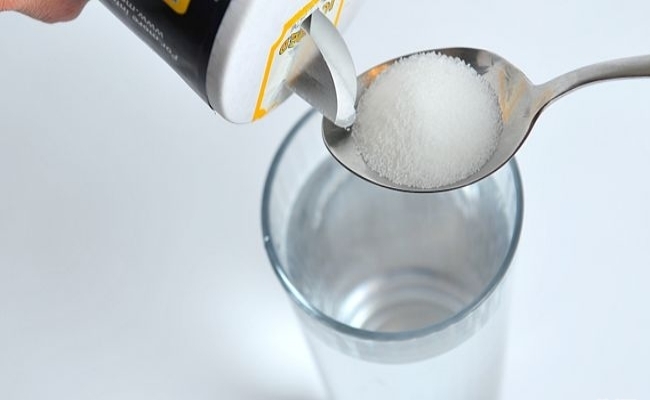 Simply rinsing your mouth with warm salt water may reduce swelling. Your regular table salt comes with antibacterial properties, so it decontaminates your mouth and soothes inflamed or swollen gums. You can also add fresh lemon juice to water and gargle with this mixture twice a day to achieve a similar result. It tastes better though may be a bit less effective than warm salt water. For immediate relief, you can simply hold warm and cold compresses against your face. Warm compresses are effective for relieving pain, while cold compresses work amazingly well to reduce swelling. You can make a hot compress by soaking a facecloth in warm water, while you can wrap ice cubes in a clean cloth to prepare a cold compress at home. A bag of frozen veggies will work fine as well. Gargle with Listerine twice a day to reduce plaque and gingivitis. Use dental probiotic in the form of lozenges to restore the natural balance of your mouth. Use CoQ10, a vitamin-like substance, to relieve pain and treat periodontitis. Use an antibacterial spray with powerful plaque-inhibiting properties; look for a spray that contains chlorhexidine. Use Gengigel because it contains hyaluronic acid that possesses anti-edematous, anti-inflammatory, and anti-bacterial properties. It also promotes the production of healthy gum tissues. To avoid dealing with pain associated with swollen gums,you should take the following steps to avoid it from happening in the first place. Brush teeth twice a day. Brushing your teeth twice a day will go a long way in maintaining proper oral hygiene and avoiding gum swelling. Floss regularly. Although flossing only takes a couple of minutes, it can help a lot in preventing gum problems. Have regular dental check-up. See your dentist regularly to ensure everything is in a perfect condition and doesn't require any treatment. And make sure to visit your dentist if your gum problems cause too much pain or persist. Your dentist not only can find out what causes your swollen gums and he can also you’re your gums problems heal faster. Maintain a healthy and well-balanced diet. Malnutrition could result in inflammation in mouth, including swollen gums as well as other health issues. 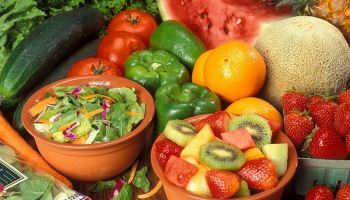 Therefore, it’s particularly important to maintain a healthy level of vitamin B, C, folic acid as well as calcium. You can simply include a variety of vegetables and fruits in your diet and take supplemental vitamins to encourage stronger teeth and healthier gums. Drink a lot of water. Drink plenty of water, especially after you eat something because it will not only help flush the food residue as well as bacteria in your mouth, reducing the risk of developing plaque in mouth. Moreover, salivaproduction can be easily stimulated simply by drinking water, which aids in killing bacteria at the first place. Quit tobacco. Quit smoking if you don't want to deal with swollen gums because your body’s ability to fight against infection could be largely reduces if you use tobacco products. Moreover, smokers don’t respond as well as non-smokers to the treatment of swollen gums or other dental diseases. Reduce stress and sleep well. Stress is associated with your dental health according to the Academy of General Dentistry; it affects your immune system and makes it difficult for your body to combat bacteria. Also you will be at high risk for developing periodontal disease if you are lack of sleep or too exhausted. Take some time to exercise, go for a walk or just relax every day, and try to get 7-8 hour sleep every night so that your body always stay healthy.